A man found dead along a dirt road in Death Valley National Park on Thursday has been identified as Reinhard Egger, 60, of Germany. Park visitors discovered Egger’s body on Harry Wade Road, a 30-mile dirt track that runs into the south end of Death Valley from California Route 127. His motorcycle was found nearby, upright and in working condition. Carma Roper, spokeswoman for the Inyo County (Calif.) Sheriff’s Office, said the coroner had not yet determined a cause of death. Death Valley’s official weather station in Furnace Creek, Calif., about 125 miles west of Las Vegas, recorded a high temperature of 118 degrees Thursday. The man’s death and two other recent incidents in remote parts of the 3.4 million-acre park prompted a warning from the National Park Service about the dangers of off-highway travel in extreme heat. 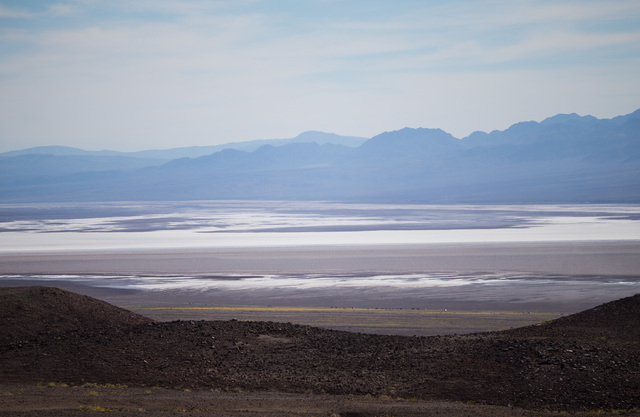 Death Valley draws about a million visitors annually, and a surprising number of them come during the hottest time of the year. From mid-July through mid-August, temperatures routinely top 120 degrees, with at least a few days with highs approaching 130. Abby Wines, management assistant and spokeswoman for the park, said such heat is dangerous anywhere, but it can easily turn deadly in the park’s often-deserted backcountry, where there is no cell service and the nearest emergency crews are hours away. Contact Henry Brean at hbrean@reviewjournal.com or 702-383-0350. Find @RefriedBrean on Twitter.